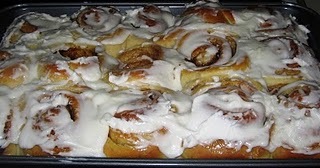 I have several recipes for homemade cinnamon rolls that do, indeed, take at least all afternoon — scald the milk and let it cool to room temperature (30 minutes); mix the dough and let it raise for an hour (1.5 hours); punch down the dough and let it raise for another hour (1 hour); shape into cinnamon rolls and let raise for another hour (1.5 hours); and then, finally, bake the cinnamon rolls (30 minutes) — for a grand total of 5 hours from start to finish. But it doesn’t have to be that way. You really can make homemade cinnamon rolls from scratch in two hours or less. When I was a kid growing up on our small dairy farm in Wisconsin that had been homesteaded by Norwegian immigrants in the late 1800s, I figured everyone knew how to make lefse. After all, everyone I knew could make lefse, so didn’t that mean everyone else could make it too?